The Sacrament of Confirmation is very special milestone for a child. You can commemorate the special day by gifting a personalized pewter dog tag. 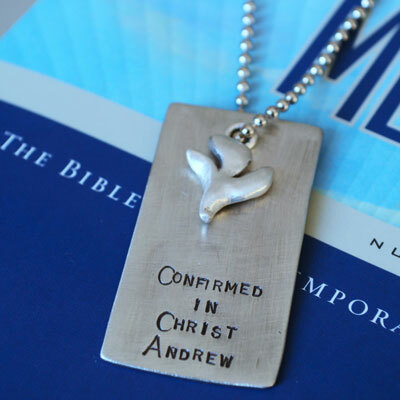 This tag has been pre-stamped with "Confirmed in Christ". 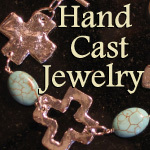 The pewter dog tag measures 1” x 2” (classic dog tag size) and normally comes on a 24” steel ball chain along with a Holy Spirit Dove Charm (3/4").